Live and Sleep was created to be a price conscious alternative to retail shopping. During our review of this company, two things stood out immediately, the exceptional dollar value and their helpful and friendly service department. All our product specification inquiries were handled in a prompt courteous manner. This type of transparency and service is refreshingly unique. Many mattress companies tout the virtues of their special "proprietary" foams. Quite often, very little is offered as evidence of their product's quality. Live and Sleep Mattress openly shares product specs and welcomes you to compare. Bigger names have extravagant marketing campaigns while Live and Sleep keeps it's business model simple. Their goal is to offer the best possible value and back it up with great service. The operative word here is "value". Live and Sleep will perform beyond price expectations. We'll review what you can expect. 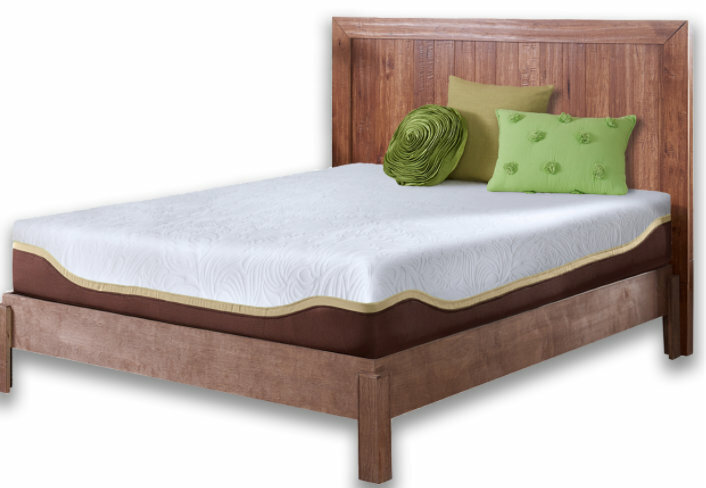 Classic Mattress "Good" Read our review. Elite Mattress "Better" Read our review. Luxury Mattress "Best" Read our review. The Cover: Stretch knit fabric sleeps cool and comfortable. Support Core: 7.5" of 1.8 lb. poly foam offers support and structure. Medium Plush: The base core gives firmer support with more structure and push back. 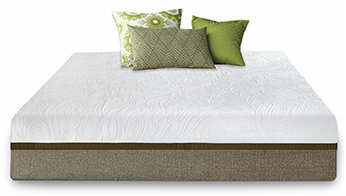 The Classic's memory foam top layer conforms and contours for outstanding pressure relief. The overall feel falls right in that medium range. While no one bed is right for everyone, The Sleep and Live Classic mattress will accomodate most back and side sleepers. However, this mattress may prove to be a bit too soft for some stomach sleepers who who require a firmer feel. Free shipping: Delivered to the continental U.S. within 4 - 7 business days. 20 Year Limited Warranty. Live and Sleep will repair or replace defective product at their discretion. See company terms and conditions. Live and Sleep offers a full 30 day Comfort Guarantee on their Classic Mattress . If you do not love it, return it free of charge for full refund! Live and Sleep offers free deliveries and free pick up if you are not fully satisfied! 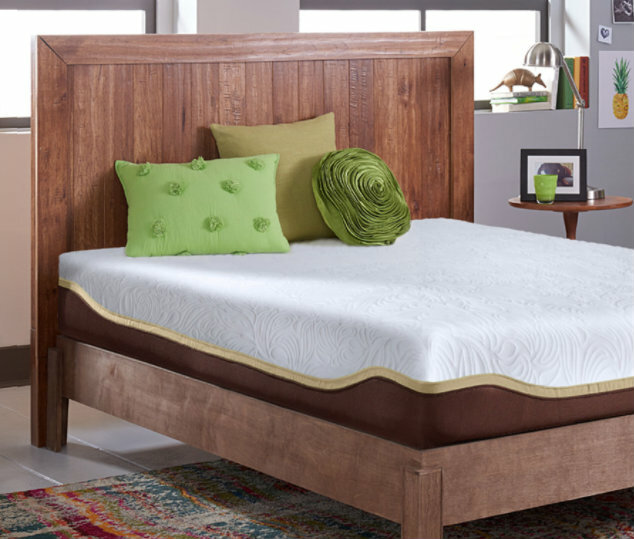 The Live and Sleep Elite mattress combines combines quality memory foam and cooling gels with a solid base foam to create a firm supportive mattress. Most back and stomach sleepers will appreciate the solid support with just enough give to reduce pressure point. Like the Classic, the Elite offers exceptional value for the dollar. Low motion transfer: This is great for couples who don't want to disturb or be disturbed by their sleep partner's movements. 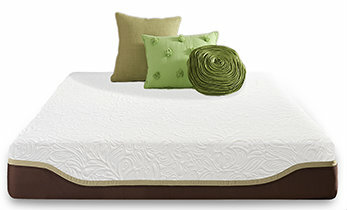 Pressure relief: Memory foam offers excellent contouring and body conformity. Awesome online service: live and Sleep has one of the most responsive and courteous online help departments we have reviewed. On the phone or by email, all questions were answered quickly and satisfactorily. Only one firmness option: The medium plush will accommodate a large percentage of sleep preferences. However, no one comfort option is right for everyone. Not produced in the U.S.: Although designed here, actual production takes place over seas. Is the Classic right for you? At $499 for a Queen mattress, the Live and Sleep "Classic" is a great value! Try it risk free today! The Cover: Made from a soft rayon and poly blend. The material is designed to be flexible, conforming and cool. Second Layer: 1/2" of Gel Infused Cool Memory Foam ads additional contouring, comfort and cooling. Support Core: 7" of 1.8 lb. poly foam offers support and structure. Firm: The Live and Sleep Elite mattress is ideal for back and stomach sleepers. It's firmer feel provides support without too much sinkage. Although personal preferences vary, it may be too firm for side sleepers seeking more conformity for the shoulders and hips. If you require a softer, more pressure relieving feel, we recommend the Luxury mattress. Free shipping: Delivered to the continental U.S. within 2 business days. Live and Sleep offers a full 75 day Comfort Guarantee on their Elite Mattress. Sometimes a new bed needs an adjustment period for your body to adapt. Live and sleep requires you try your mattress out for 50 days. If you do not love it after the initial trial period, return it free of charge for full refund! Live and Sleep offers free deliveries and free pick up if you are not fully satisfied! The Live and Sleep Elite mattress combines memory foam, cooling gels and solid base support to produce an exceptional bed. 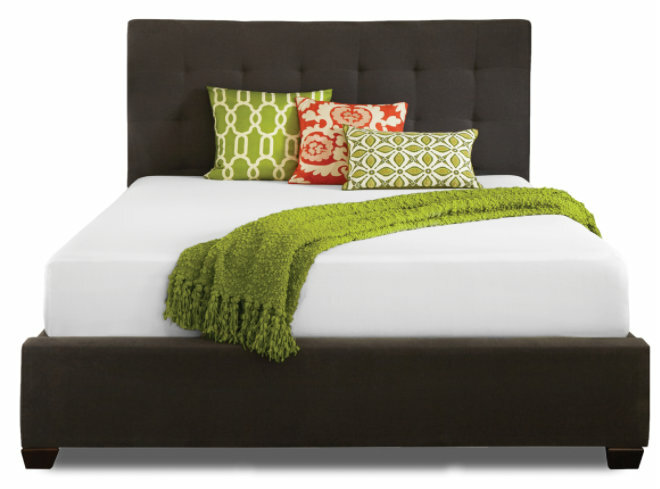 Like the Classic, The Elite compares favorably to comparably priced memory foam options. It's firm feel will appeal to back and stomach sleeper but may be a bit too firm for some side sleepers. Once again, individual preferences vary. But, for those seeking a softer more conforming feel, we recommend the Sleep and Live Luxury mattress. Sleeps Cool: The addition of Cooling Gel Memory foam along with a breathable cover controls your temperature. Only one firmness option: The firm will not accommodate all sleep preferences. Especially, those seeking more hug for the shoulders and hips. Is the Elite right for you? 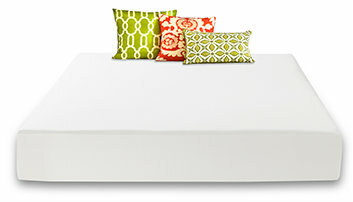 At $799 for a Queen mattress, the Live and Sleep "Elite" is a great value! Try it risk free today! The Cover: Made from rayon and poly blend, the fabric has a soft hand and can be easily removed for machine washing. The material is designed to be flexible,, conforming and cool. Second Layer: 1" of Gel Infused Cool Memory Foam ads additional contouring, comfort and cooling. Support Core: 8.5" of 1.8 lb. poly foam offers support and structure. Medium: The Live and Sleep Luxury mattress provides a plush gentle body hug. It conforms and contours to every curve of your body while the additional core structure adds solid support. Although there is no one mattress right for everyone, the combined support and comfort of this mattress should have a broad appeal. The Live and Sleep Luxury mattress fits the comfort needs of most back and side sleepers. For stomach sleepers, anyone seeking a firmer feel, we recommend considering the Live and Sleep Elite. Live and Sleep offers a full 100 day Comfort Guarantee on their Luxury Mattress. Sometimes a new bed needs an adjustment period for your body to adapt. Live and sleep requires you try your mattress out for 50 days. If you do not love it after the initial trial period, return it free of charge for full refund! Live and Sleep offers free deliveries and free pick up if you are not fully satisfied! The Live and Sleep Luxury mattress takes the next step up in support and comfort. Additional high density memory and support foams are added for an even more conforming pressure relief and body alignment. Low motion transfer: Even More memory and support foam have been added to the Live and Sleep Luxury mattress. This substantially lowers the amount of sleep partner disturbance. Is the Luxury right for you? At $799 for a Queen mattress, the Live and Sleep "Luxury" is a great value! Try it risk free today!